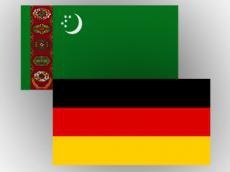 The German-Turkmen business forum is scheduled to be held in Berlin on February 12-13, 2019, Trend reports referring to a source in the Union of Industrialists and Entrepreneurs of Turkmenistan. The management of the board of the Committee on Eastern European Economic Relations intends to visit Turkmenistan in March 2019. The events will be held following the recent visit of the Turkmen delegation headed by Deputy Prime Minister and Foreign Minister Rashid Meredov to Hamburg and Berlin. Several meetings were held during the visit, including one with Chairman of Committee on Eastern European Economic Relations Wolfgang Buechele. The prospects for cooperation in such spheres as energy, gas chemical industry, transport and communications, banking sector were discussed during the meeting. In May, it was reported that the Turkmen delegation headed by Deputy Prime Minister Chary Gylyjov held talks at the German Federal Ministry for Economic Affairs and Energy. The sides discussed the issues of expanding the ties in such spheres as energy, finance, health care, agriculture, infrastructure and tourism. The German companies make a significant contribution to the implementation of long-term projects in Turkmenistan. Among them are such companies as Siemens, Daimler, Claas, Rohde & Schwarz, Dresser-Rand. In 2016, 167 investment projects and contracts with German capital worth $540 million and about 555 million euros were registered in Turkmenistan.